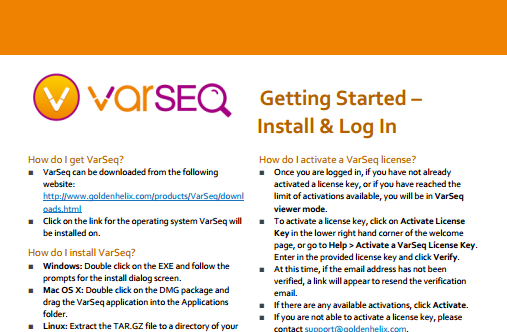 Everything you need to know about how to install VarSeq, create a login and register the product. 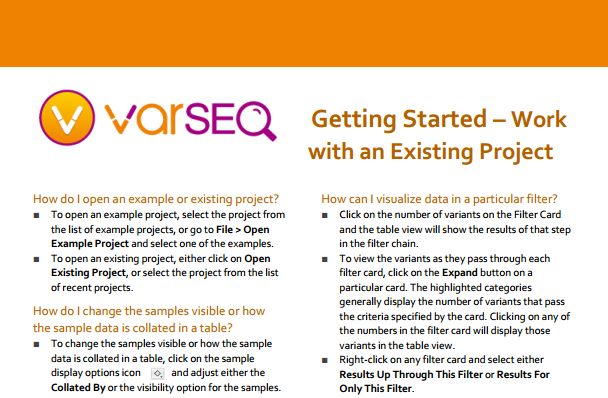 Walks you through creating a new project, annotating and filtering variants and exporting filtered and annotated data. 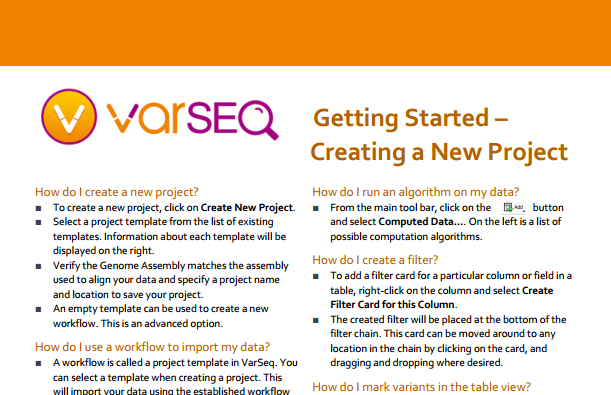 Quickly learn how to manipulate the visible data and samples, adjust the layout of the views in the project and take notes that are saved as part of the project. 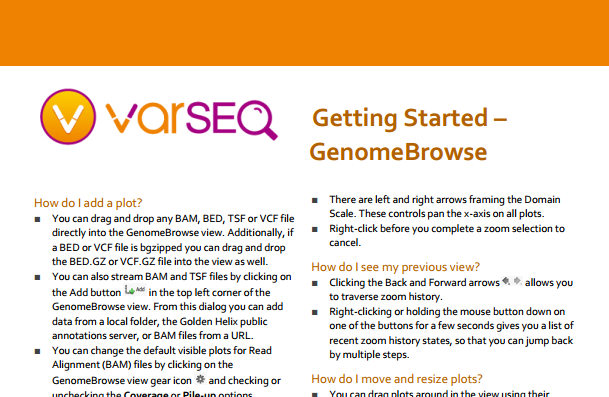 Get up and running with VarSeq's embedded genome browser, adding plots, navigating to features and changing how data is displayed.